After graduating from high school, most professionals make one of the most impactful decisions of their life: choosing higher education. Two-thirds of American high school graduates will enroll into some higher education program, where they expect to build the skills and knowledge necessary for their career. After they earn a bachelor’s degree, for an increasing number of professionals, the next step is attending a graduate program (masters or doctoral degrees) and, for the rest, the next step is entering the workforce (where many have to pay back debt for their education and must get employed as soon as possible). In this blog, I discuss some things to consider when choosing higher education. Too many graduates cannot write clearly, think analytically, work collaboratively, deal with other people effectively, or observe proper ethical standards (page 2). SUNY Geneseo Public Liberal Arts General education requirements (20-22 credits), Breadth Requirements (21-23 credits). RIT Private Technical Foundation courses (2 courses), perspectives (8 courses), and immersion (3 courses). University of Rochester Private Comprehensive ‘Build your own’ curriculum; satisfy a cluster (6 courses) divided as humanities, social sciences, and natural sciences; Writing requirement (1 course). University of Buffalo Public Comprehensive Courses in writing, math, natural and social sciences, humanities, and world civilizations. University of Phoenix For-Profit Courses in Science & Technology, Humanities, Social Sciences, and Interdisciplinary. General education requirements are under scrutiny, so college and universities are constantly tweaking their curriculum. University of Rochester has instituted a new approach, what they call the Rochester curriculum, where students can choose their own courses within a cluster. This is a good move because it promotes earning a minor or second major and gives students more leeway in choosing courses that build necessary skills. The decision to attend a technical versus liberal arts institution is largely based on the degree a student is pursuing and whether he or she is planning to attend a graduate program. Technical institutions offer a wider variety of degrees in STEM fields. Although, if a student is planning to attend a graduate program, he or she might choose a more liberal arts focused degree. SUNY Geneseo, a small public liberal arts college has a large number of graduates who later earn a PHD in stem related fields. The curriculum of technical, comprehensive, and technical institutions is largely the same where they offer the same degree. However, there are differences when filling electives related to the degree. 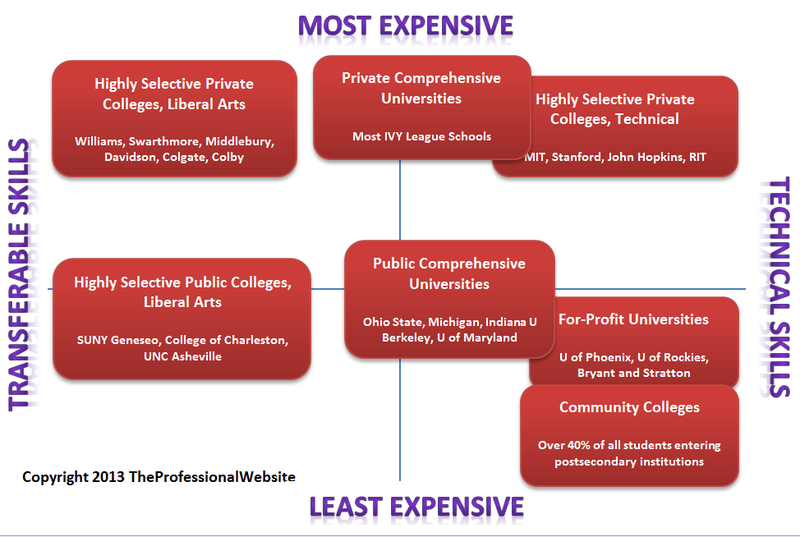 Some colleges have concentrations within a degree, where a student can specialize in a particular technology, application, or field; some colleges build their reputation on these concentrations. Considering the expense and increasing prevalence of technology and globalization in most disciplines, four year students should think about taking on a double major or a minor. Make every course market and differentiate a professional from his or her peers. For example, consider double majoring in business and information systems or education and a foreign language. Be wise when deciding on electives. 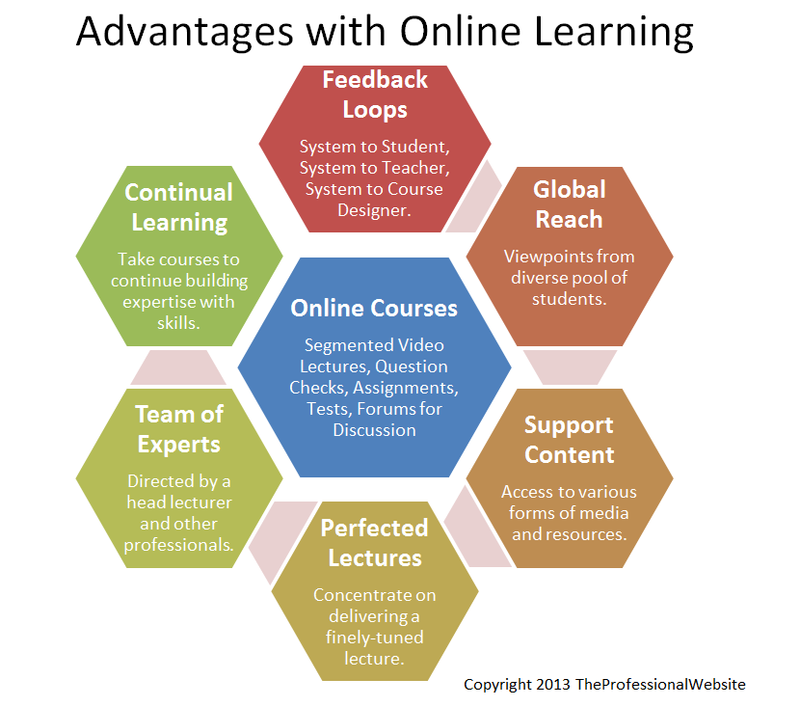 Make every course build desired skills and/or domain knowledge. Whether a professional presents their skills in LinkedIn or personal website, he or she can present skills based on courses they took; they can also provide samples of an important project they completed in the course. Besides the utility in presenting skills based on a course level (rather than a degree), it also makes financial sense to always build skills; courses often cost more than a thousand dollars. I think ‘general education requirements’ can be commoditized through online learning channels, and might be the best way to lower higher education expense to college students (decreasing the number of tuition payments by up to two years). Similarly, high school advance placement or community college courses can also be transferred in as credit towards a degree. Perhaps make students responsible to learn ‘general education requirements’ on their own. For example, a student takes a series of MOOCs, earns an associate’s degree in their field, and then takes the CLA+ – a standardized test for college graduates. Employers can use the test results to compare candidates who have different types of degrees (associates versus bachelors) or do not have a degree. As young adults decide on higher education, they should construct a list of target college and universities and review their required curriculum. (Fortunately, this information is easily accessible on the internet.) Use a skills-based approach to come up with their desired skill set and then match courses with skills.